Larry Chandler had done his time in Afghanistan when he was redeployed to Iraq. With only five weeks left, Chandler is assigned a dangerous mission. While his men crave action, Chandler hopes they'll all make it back alive. 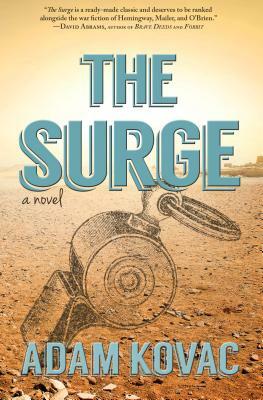 Inspired by his deployments, Adam Kovac's debut novel is set during 2007's troop surge, revealing the human cost of achieving military objectives. Adam Kovac served in the U.S. Army infantry, with deployments to Panama, Haiti, Iraq and Afghanistan. A former journalist, he's also covered the crime and court beats for newspapers in Indiana, Florida and Illinois. Kovac earned his MFA in creative writing from Northwestern University. He lives with his wife and son in suburban Chicago. This is his first novel.